Are you of legal age to apply for your official driver’s license? If so, you might also need to order a car registration for your new or used vehicle, as well as a car title. While all of these driver credentials are related, it is not always as simple as obtaining all three at a one-stop-shop location. The team at Drivers-Licenses.org understands that obtaining all of your different driver credentials can be stressful. Let us break things down for you, so you can get your driver’s license and register and title your car efficiently. What is a driver’s license, and where do I get one? The most popular driver-related credential is a driver’s license. 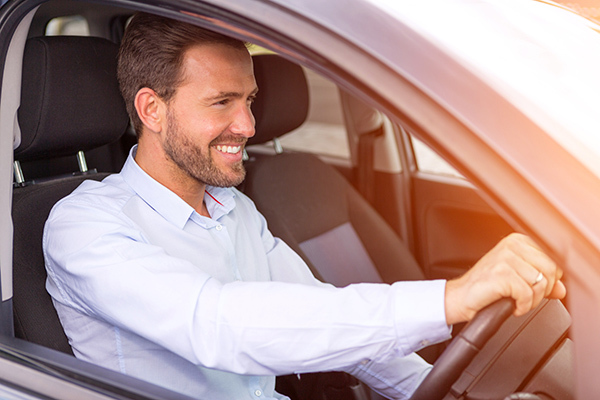 A driver’s license is your legal “permission slip” to drive in your state of residence, as soon as you meet all of the requirements to obtain one. In most states, you must pass a vision screening, a written exam and a driving skills test in order to purchase your first driver’s license. Delaware’s Division of Motor Vehicles. Massachusetts’s Registry of Motor Vehicles. When the time comes to obtain your driver’s license credential, be sure to locate the department or specific division, so you can carry out the process with ease. Whether you have just leased or purchased a new car, obtained a used car or were gifted a car from a friend or a relative, you must register this car in your state of residence. A car registration is a document that ties the owner or the user of the vehicle to the actual vehicle. In addition, car registrations are generally distributed with license plates, or in some states, tags. The purpose of the car registration is to legally bind a driver to the vehicle, and to confirm that the vehicle is registered to be on the road. Oftentimes, a car dealership will handle your new vehicle registration, but you may be responsible for registering your car if it is used or if it was given to you as a gift. In addition, if you purchase a car from out-of-state, you must take the steps to carry out the vehicle registration in your state of residence. Just like driver’s licenses, car registrations are regulated at a state level. This means that each state has a different, designated office from which to request vehicle registrations. Some states allow drivers to purchase driver’s licenses and vehicle registrations at the same location, while others do not. For instance, driver’s licenses may be available at Department of Driver Services offices, while car registrations must be obtained at Motor Vehicle Division offices; however, names will vary. And, similar to driver’s licensing, there are parent departments associated with car registrations. For instance, common parent departments that oversee vehicle registration include the Tax Commission, the Department of Revenue and the County Clerk. Your vehicle title is essentially the document that contains the legal owner of the car. Both people and businesses can be named owners of vehicles. If you bought your car outright, then you will be named the vehicle owner on your car title. However, if money is owed on your vehicle, the title will be in the name of the lienholder. And, if your car is financed, the owner named on your vehicle title is typically the lender. If a car title is not produced by a lienholder or a lender, or if you lost your car title, you must purchase a new one. In addition, if you sell your car to a person, or if a person sells a car to you, both parties are responsible for transferring the car title through the appropriate office. Vehicle title requests are typically serviced at the same locations where vehicle registrations are obtained. And, in some states, you can obtain all three driver credentials in one convenient location. The following state offices allow you to get car titles, car registrations and driver’s licenses at the same office: Alaska, Arizona, Arkansas, California, Colorado, Connecticut, District of Columbia, Delaware, Florida, Idaho, Indiana, Iowa, Kansas, Louisiana, Maine, Maryland, Massachusetts, Michigan, Minnesota, Missouri, Montana, Nebraska, Nevada, New Hampshire, New Jersey, New Mexico, New York, North Carolina, Ohio, Oregon, Pennsylvania, Rhode Island, South Carolina, South Dakota, Vermont, Virginia, Washington, West Virginia and Wyoming. However, the team at Drivers-Licenses.org notes that, in Hawaii, all driver credentials are handled at a county level.